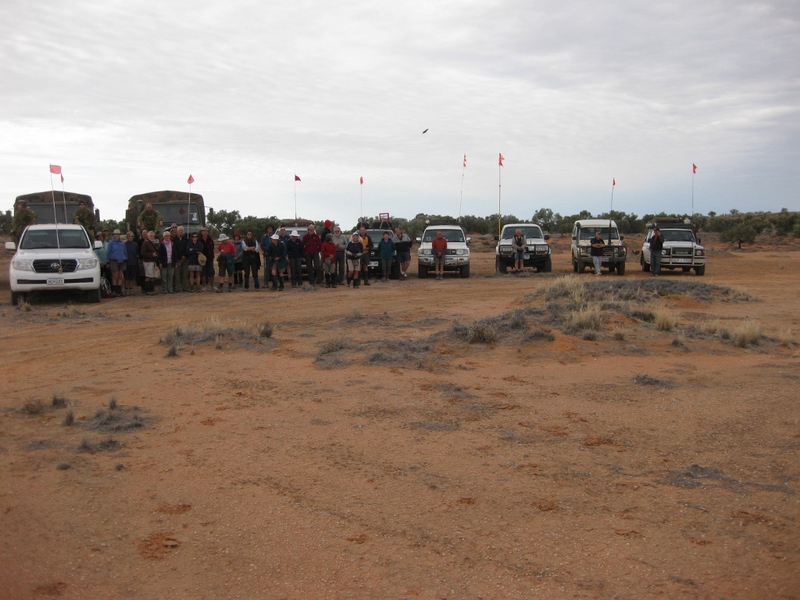 On 14 August, 24 ARPA Bushwalkers together with 7 support four wheel drive vehicles with their drivers and 3 military trucks plus a land cruiser set off from Adelaide to get to Purni Bore, (1,350 km north of Adelaide) to start their relay walking across the Simpson Desert to Big Red, 36km west of Birdsville in the SE corner of Queensland. 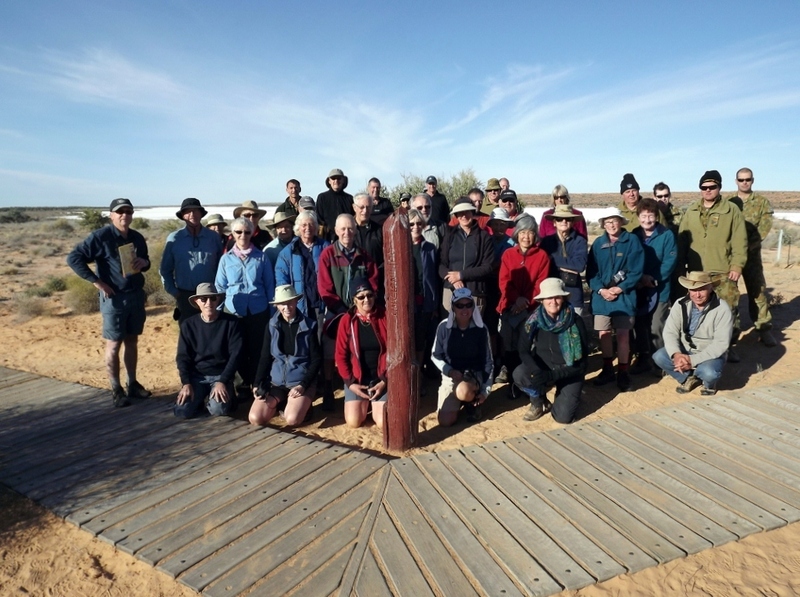 The walking arrangement was for each walker to walk 12km each day in a team of 2-4 walkers so that with 24 in the group it was possible to walk the complete 320km in under 5 days. 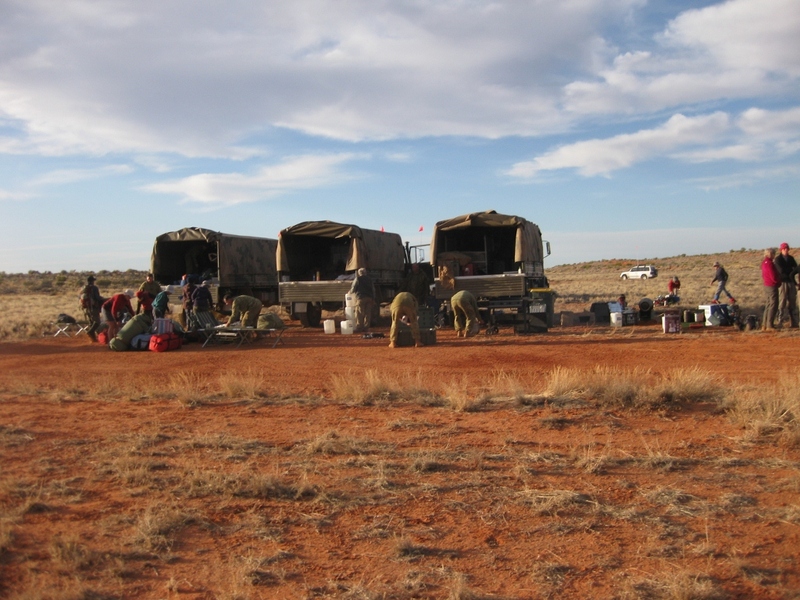 The 4 Unimog trucks were provided gratis by the RAAF at Edinburgh in SA and carried all the group’s food, bedding, tents, water and other camping gear necessary for the trip across the desert. 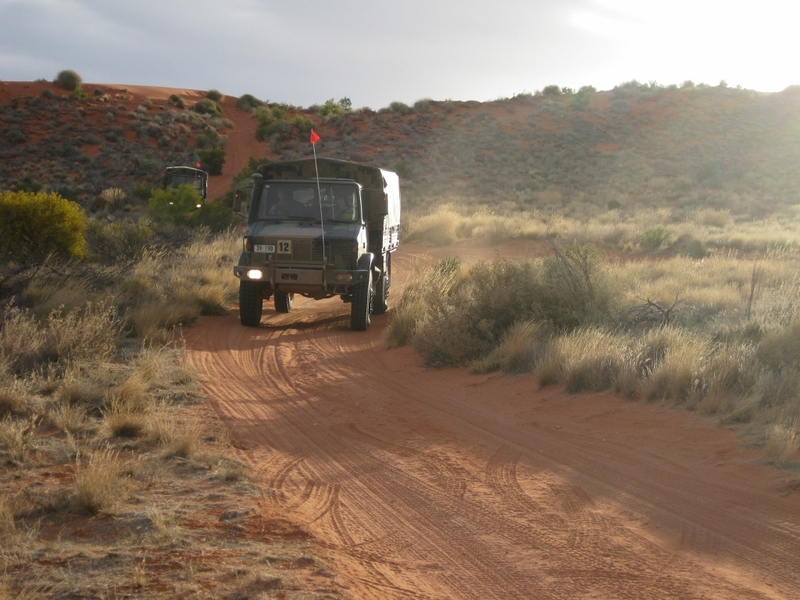 ARPA four wheel drive vehicles carried the walkers from Adelaide and also across the desert when the teams were not walking. The weather was kind to the group and sunny days were experienced with some cloudy conditions at time. However the evening and mornings were chilly and the group were grateful that a fire was available to keep them warm. 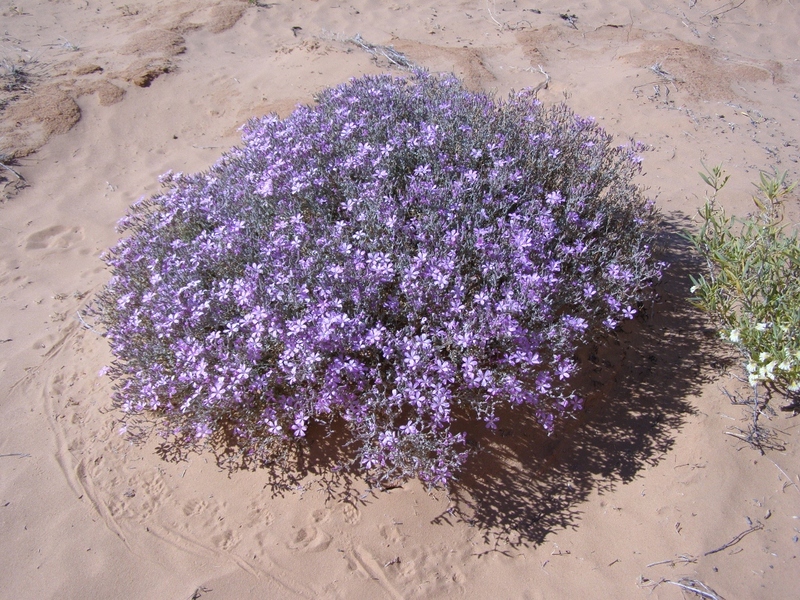 Wood brought from Adelaide in the trucks was used for the fires as wood collection in the Simpson Desert National Park is prohibited. Rolling sand dunes were the order of the day with claypans or swales between the sand dunes. 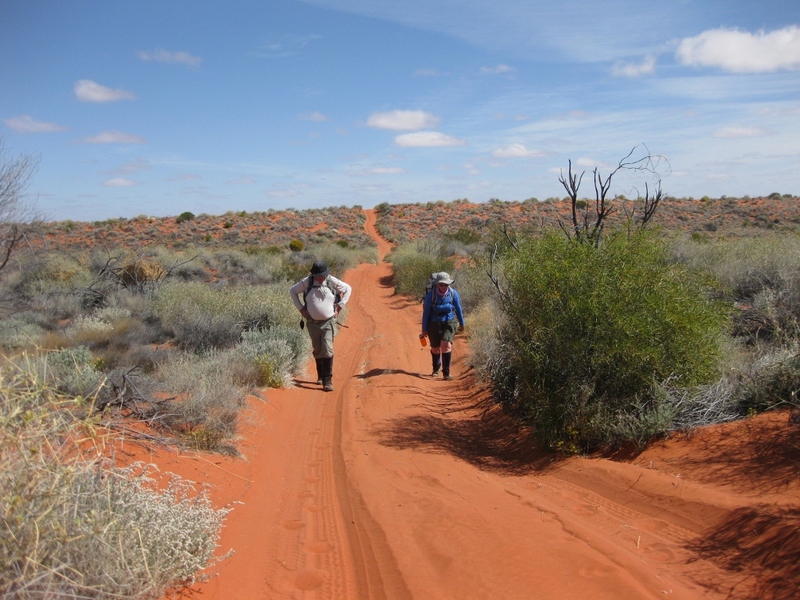 Walking was relatively easy with no major climbs as the sand dunes ranged between 10-20 metres high across the desert except for the final Big Red sand dune which was 40 metres high. 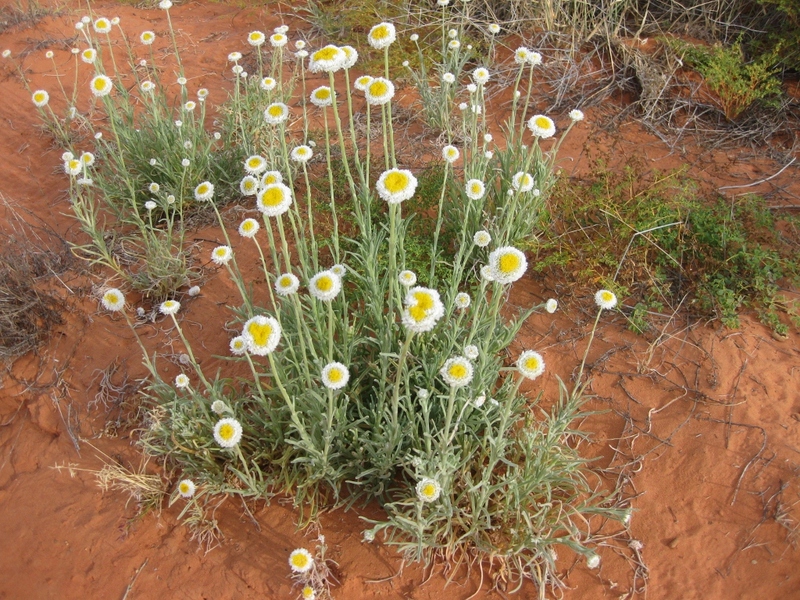 Because of recent rains wildflowers were in abundance across the desert and many photographs were taken by the walkers. When Big Red was reached the four wheel drive vehicles thought that they had a real challenge but had no problems in getting to the top when they chose the appropriate track. 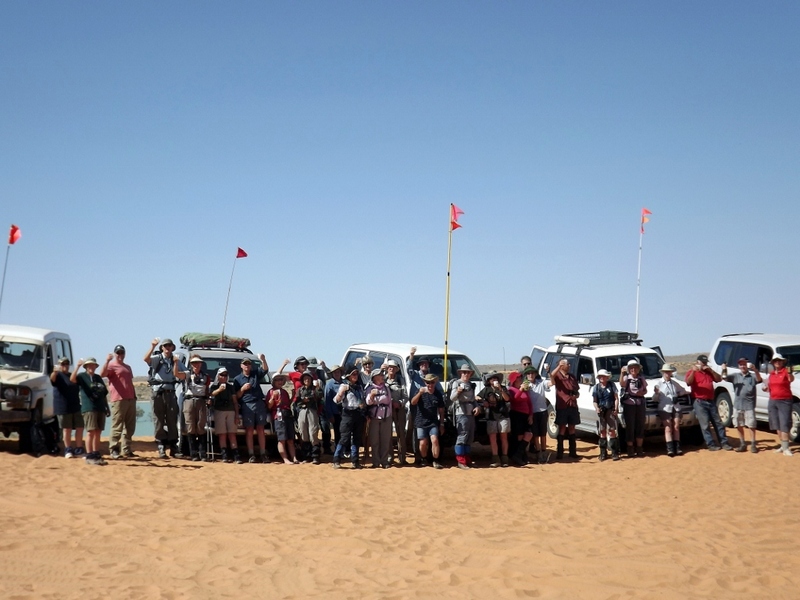 No major problems with the vehicles were experienced during the trip across the desert. When walkers and vehicles reached the top of Big Red they celebrated in style with the usual convivial glass and hearty cheers. All enjoyed the wonderful experience of walking in a remote location and now wonder what they will do next. There is a short slide show of this trip here.